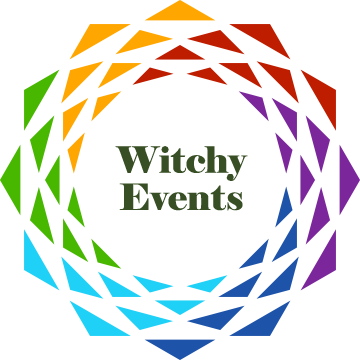 Leadership Institute provides a day-long opportunity for the membership of CoG to engage in skill building and address issues of broad relevance to Witch and Wiccan clergy. For LI 2018 we continue the tradition with a two part program devoted to both our personal development as leaders in our spiritual communities, and to the institutional well-being of CoG. The morning session is entitled, Communication Tools for Pagan Leaders: Transmuting Disagreement into Purpose. This interactive workshop was developed especially for CoG! It will be led by a member with 20 years of experience directing an educational non-profit organization specializing in communication solutions around issues of inclusion, gender, and sexual orientation. The afternoon session of Leadership Institute is dedicated to drafting a proposed mission statement for CoG. Topics of discussion will include the purpose, goals, and membership of CoG, and will utilize communication strategies provided in the morning session. It is recommended, but not required, that you participate in both sessions. As Pagans and Witches, we are known to be fiercely independent, thoughtful, and passionate people, with deeply held points of view and keen perspectives. These qualities make us who we are, and they make us strong. With so many independent folks within our community, how can we align with others toward mutual goals, without compromising or “giving up” our views? Is it possible to move into action when matters that impact our community are at stake, even though we disagree? How can we hear and acknowledge one another when we often find ourselves in moments of divergent opinions and ideas? Participate and engage with interactive role play and demonstrations using a model of communication that puts the focus on our personal relationships with one another, and listening to one another, in authentic dialogue. Learn how to listen and connect, and then move forward into action. Aequitas Sidereus is a public health researcher and community psychologist. He completed his graduate work at University of Miami’s Community & Social Change Program, and is deeply involved in nonprofit human rights efforts focusing on the topics of suicide and violence prevention as well as gender and sexual orientation equity work in schools and workplaces.